Many people find coffee alluring for its caffeine boost. Coffee's rich, bold flavor and aroma can be intoxicating. 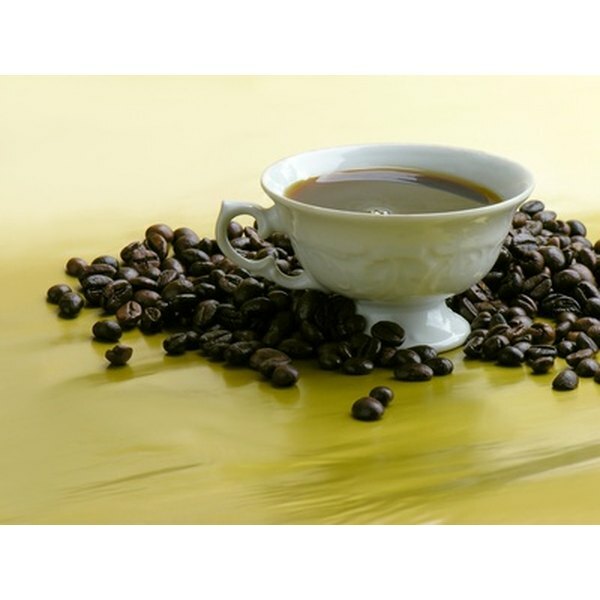 Coffee has been cultivated since the 15th century or earlier, according to the International Coffee Organization website. Coffee itself is highly acidic and the caffeine in coffee can cause irritability, anxiety and nervousness. Coffee's acidity and caffeine can cause the body to create more fat cells to balance the acidity and to defend against the negative effects of caffeine. Coffee trees originated in Ethiopia. According to the Coffee Science Information website, the coffee bean was eaten as a food first, rather than used to make a drink. The first coffeehouses opened in Mecca, and coffee drinking became popular in the Arab world. It quickly spread to Dutch colonies, and they grew to be the main suppliers of coffee. Eventually, coffee trading made its way to Venice where coffee houses offered the luxury beverage. Coffee has since turned into one of the most valuable products in world trade. The coffee tree produces fruit that looks like red cherries, with two coffee beans inside. Removing the outer layer exposes a dry, green coffee bean, according to the Coffee Science Information website. There are two species commercially grown: robustas and aribicas. The aribicas grow at higher altitudes than the robustas. They requires less rain but also contains less caffeine. According to the Children’s Hospital Boston website, there are two types of fat cells: brown and white. White fat cells are designed to store energy for later use. They accumulate under the skin and around organs. They are full of lipid droplets. Brown fat cells, on the other hand, have small lipid droplets found between mitochondria, and Children’s Hospital calls them small energy factories. These cells are for burning energy and generating heat. Brown fat cells are primarily found in newborns and mostly disappear by adulthood. According to the Nutritionist World website, acidic foods, like coffee, can cause your body to produce fat cells to help cushion organs from their extra acid. Caffeine increases epinephrine and cortisol, secreted because of stress and anxiety. Cortisol, which has been referred to as a stress hormone, signals the body to store fat. High cortisol levels can affect mood and sleep, causing sleep deprivation. When your body lacks sleep, it responds in kind by creating fat storage and fattening up cells to help boost energy and keep the body warm. Coffee's caffeine has both negative and positive attributes, and affects people in different ways. Caffeine is sometimes connected with weight loss since it is a stimulant. Though caffeine may appear to increase metabolism, suppress the appetite temporarily and promote water loss, caffeine as a weight loss aid is inconclusive. Nutritionist World: The Caffeine Debate: The Skinny on Coffee and Weightloss? Mayo Clinic: Weight Loss: Does Caffeine Increase Weight Loss? Does Coffee Kill Brain Cells?